Please join us on Sunday, October 25 from 3:00 pm to 4:30 pm for a dhamma talk and Q&A session with Venerable Bhikkhu Bodhi, organized by the Mahabodhi Society of USA. The event will be held at the Cupertino Community Hall, 10350 Torre Ave., Cupertino, CA 95014. We hope to see you there for an insightful evening. ﻿For RSVP, please e-mail Janny at mahabodhisocietyusa@gmail.com with the subject RSVP: Bhikkhu Bodhi's Talk. "In recent years, Buddhist ideas and practices have so fully permeated modern American culture that traditional Buddhists are often left wondering whether the Dharma will become just another phase of the ever-shifting American pop scene. Have traditional Buddhists misunderstood the Dharma? Have they wrongly turned a pragmatic, secular system of Asian mind-training into a religion, a doctrine of human salvation? Or are there certain timeless principles at the heart of the Dharma -- "parameters of the true Dharma" -- that must be respected to prevent the Dharma from being devoured by America's omnivorous cultural reductionism? In this lecture, Ven. 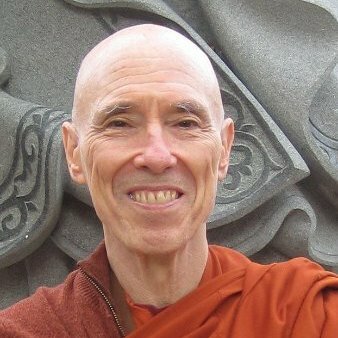 Bhikkhu Bodhi will explore these urgent and challenging questions."